Peter and I work away at our trees. They are getting near completion. Some of the gang actually got more than one tree completed. 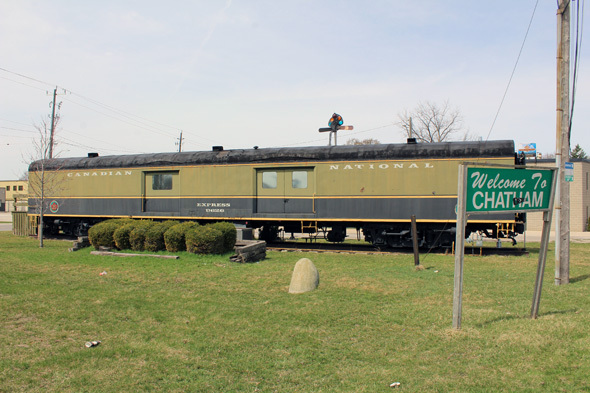 The Western Ontario Division of the NMRA is a busy division the last while. 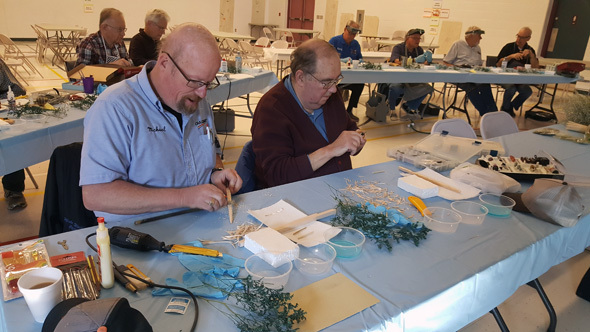 This time the group gathered in Chatham, Ontario for a Make and Take tree building workshop hosted by Pat Rivard. 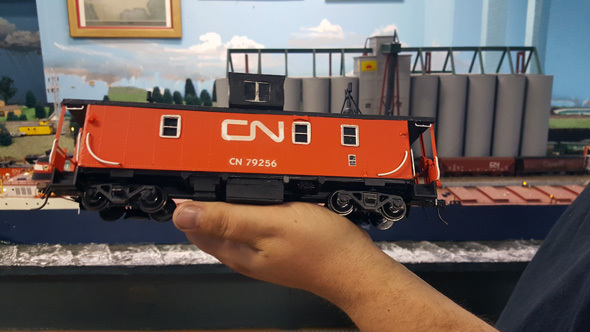 Pat is an O scale modeler with a BC style layout. 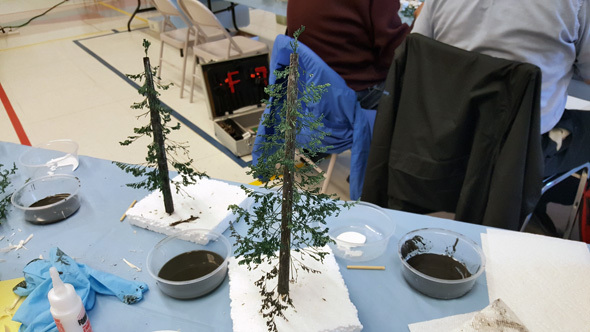 He has made hundreds of these tall pines. The trunks are being shaped. The trunks are painted and dry brushed. The holes need to be drilled and branches applied. 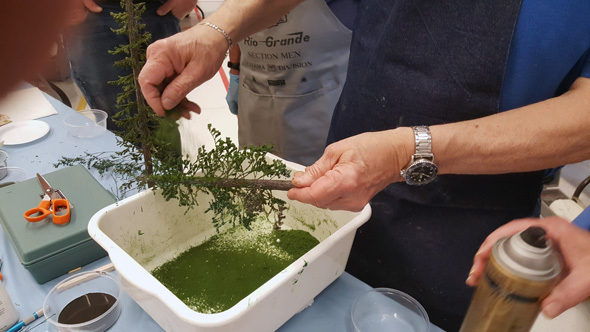 Hair spray and ground foam finish the tree off. 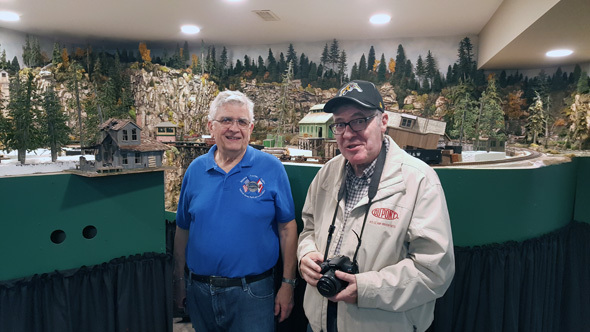 We stopped in to see Gary's HO scale layout. Gary Shurgold is a great photographer and has won many awards for his work. He also is a MMR and many of his accomplishments are seen behind him. Gary Clark models in two scales. Here is an O scale caboose he scratch built. 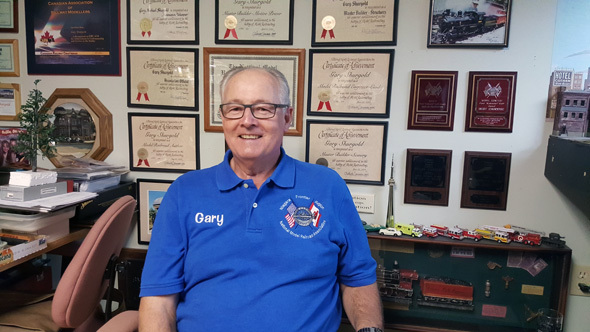 Gary also works for the CN in the running trades. I worked with him on occasion when he was stationed in London years ago and he was still a conductor. Gary Clark's scratch built freighter. 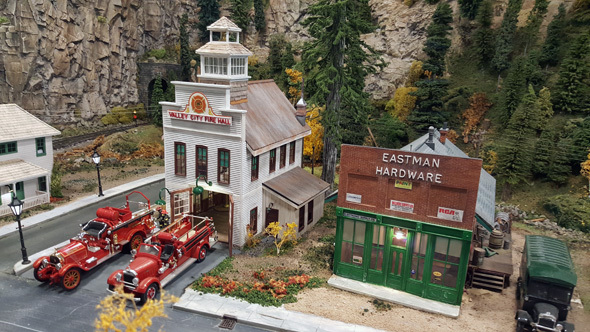 Gary's main layout seen here is HO scale. 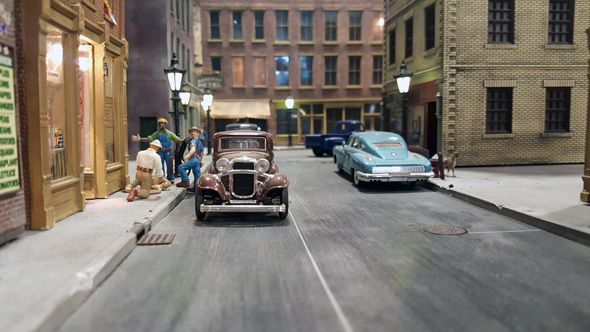 Looking down main street on Pat's O scale layout. 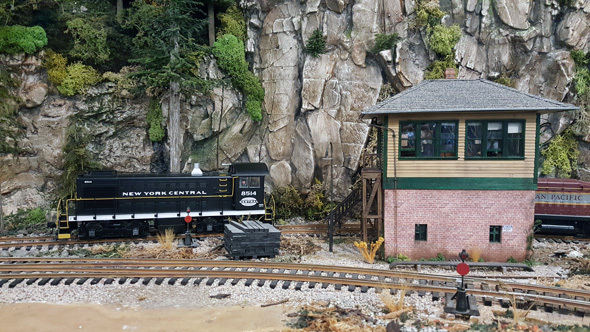 Pat Rivard's layout is O scale with DCC and sound. The interlocking tower has full interior details. 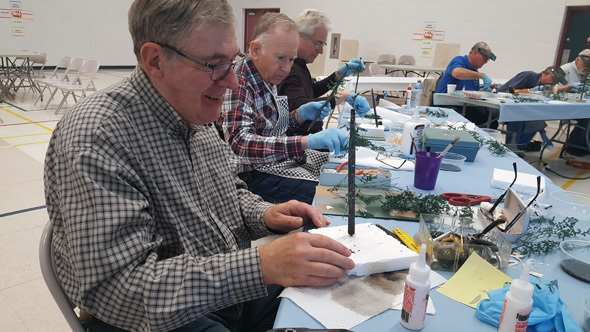 Pat Rivard and Peter pose...note all the large trees that are similar to what we all worked on earlier in the day. Pat's structures are over the top. Each building is fully detailed inside with lighting installed. 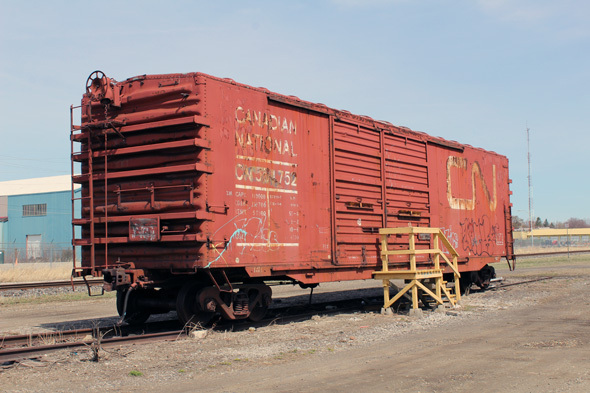 CN storage shed next to the VIA Chatham station. This is a rail museum near the VIA station. 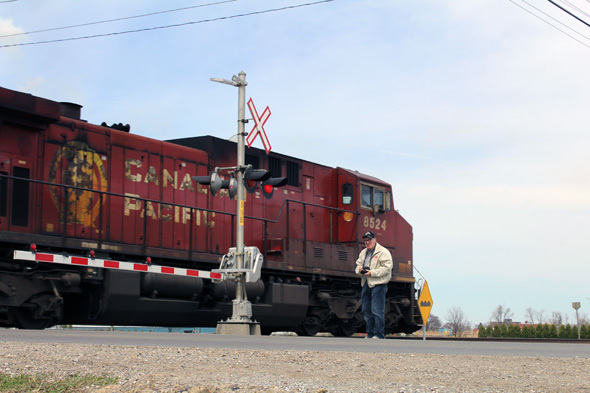 Peter and I caught up with a couple of CP trains in Chatham. Great post!! 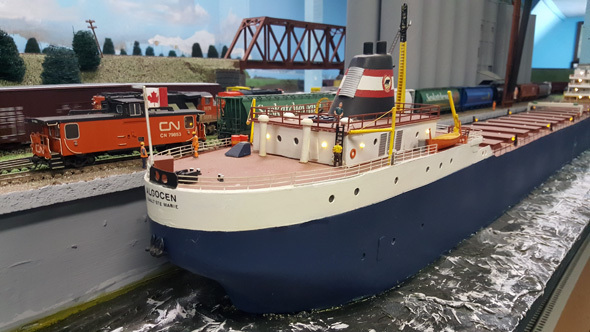 Had me wondering for a minute whether that freighter was O scale, then I realized it was a different CN caboose beside it!